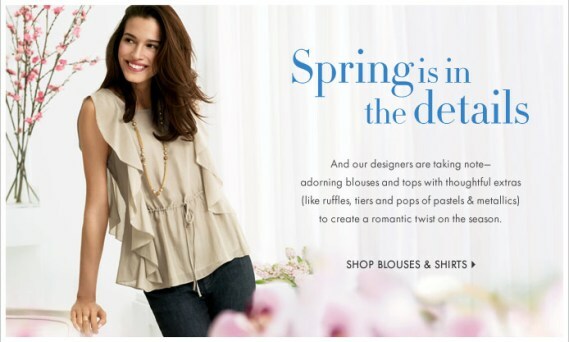 Ann Taylor has several exquisite blouses for Spring 2009. The blouse you can see in the image above is a Silk Flutter Sleeve Top which is a delicate top in slightly sheer silk. Scoop neckline Flutter sleeves. Ruffles down front. Self-tie cinches at waist. Elastic smocking at center back waist. Removable snap-in camisole lining. Learn more about Silk Flutter Sleeve Tops. Read more women's fashion news.